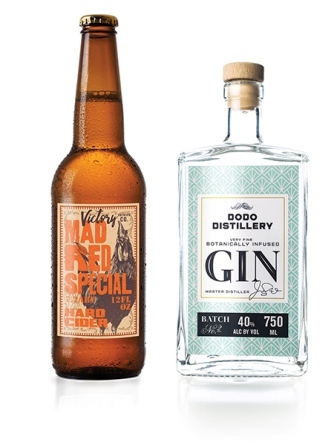 UPM Raflatac has introduced a new range of specialist label materials for craft beverage market. Designed to enhance the shelf appeal of craft beverages, the new European range includes textured, colored and metalized papers, in addition to ultra-clear and white film materials. The new range of label materials can be used for different types of craft beverages such as beers, ciders, high-end soft drinks, and spirits. Self-adhesive labels enable to produce different label sizes, shapes, and designs, specifically on short labeling runs. UPM label materials are said to provide new design options, when decorated with embossing for papers or foiling for films. The company also produces specially formulated adhesives, which can tolerate whitening during the pasteurization process. UPM Raflatac EMEIA wine, spirits, and craft beverages segment manager Jay Betton said: “We want to help brands tell their story and reflect their craft roots with high performance labels that give a natural, authentic, and distinctive look. In another development, UPM Raflatac said it will exhibit its label films, as well as pharma, food and durables labeling solotions at the Gulf Print & Pack event in Dubai. The event will take place from 26 to 29 March. The company will showcase its label films such as Raflex MDO and Raflex Pro, which can be used on contoured and squeezable containers. Image: UPM Raflatac’s new label materials can be used for different types of craft beverages. Photo: courtesy of UPM Raflatac.